A national film studio complex earmarked for green belt land on the outskirts of Edinburgh will cost more than £230 million and take at least five years to complete, its backers have admitted. The price tag of the Pentland Studios, which would be built next to an existing retail park at Straiton, in Midlothian, has risen by more than £80m in less than a year. A host of new uses are being put forward for the project, which has already been three years in the planning stages, but has yet to win any official endorsement from the Scottish Government. And it could be another two years before any film or television productions are able to use the facilities at the 106-acre site. New details of the £232m development, which has been opposed by Midlothian Council chiefs, have been released to industry representatives. Promised facilities include six “sound stages” up to 70ft tall for indoor filming, two backlots suitable for blockbuster productions, a film academy, a hotel, a 50,000sq ft creative industries hub and 50,000sq ft of workshops. The complex is also now being touted for Edinburgh Festival performances, a rehearsal space for national performing companies like Scottish Opera and the Royal Scottish National Orchestra and as a new hub for computer games development. The Pentland Studios consortium has mounted an appeal to the government over the handling of the project by Midlothian Council. Ministers are being asked to rule on the project after the local authority raised concerns that it would cause unacceptable disruption to residents, threaten the expansion of nearby developments and blight the local landscape. Doubt has also been cast on claimed economic benefits from the Pentland Studios project while the lack of a commercial backer for the venture, which was first announced in August 2014, has been questioned. Under a timetable set out by Pentland Studios development director Jim O’Donnell, it is hoped financial backers and a contractor would be in place by next year if it was given the green light. An initial phase of the project is envisaged to open by 2018. He said: “The film and TV studios will the first of their kind in Scotland and the first new-build and future-proofed studio in the UK. Phase one will deliver the first three sound stages, reception area, workshops, film academy, student accommodation and energy centre. 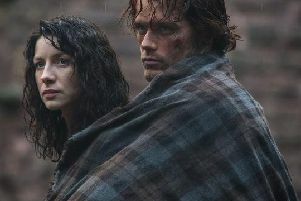 New details of the Pentland Studios scheme have been announced weeks after the government threw its weight behind plans for a permanent studio in Cumbernauld, where American TV show Outlander is currently filmed.